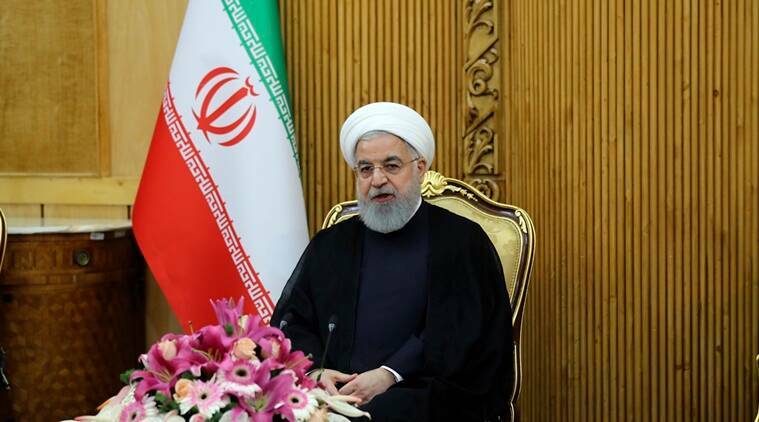 Iranian President Hassan Rouhani on Tuesday defended the elite Islamic Revolutionary Guard Corps as protectors of Iran a day after the United States labeled the group as a foreign terrorist organisation. U.S. President Donald Trump designated Iran’s Guards a foreign terrorist organisation on Monday — an unprecedented step that will raise tensions in the Middle East. Relations between Tehran and Washington took a turn for the worse last May when Trump pulled out of a 2015 nuclear deal between Iran and six world powers, and reimposed sanctions. “The Guards have sacrificed their lives to protect our people, our (1979 Islamic) revolution … But today America that holds a grudge against the Guards, blacklists the Guards,” Rouhani said in a speech broadcast live on state TV. Tehran took retaliatory action by naming the United States Central Command (CENTCOM) as a terrorist organisation and the U.S. government as a sponsor of terror, and Iranian officials warned the move will endanger U.S. interests in the region, where Iran is involved in proxy wars from Syria to Lebanon. Iranian Revolutionary Guards commanders have repeatedly said that U.S. bases in the Middle East and U.S. aircraft carriers in the Gulf are within range of Iranian missiles. Tehran has also threatened to disrupt oil shipments through the Strait of Hormuz in the Gulf if the United States tries to strangle Tehran’s economy by halting its oil exports. Iran’s arch-rival Saudi Arabia welcomed the U.S. decision on Tuesday. The Sunni Muslim kingdom and Shi’ite Iran have been fighting proxy wars for years, backing opposing sides in conflicts in Syria and Yemen, and Riyadh accuses Tehran of interfering in its and other Middle Eastern countries’ internal affairs. “The U.S. decision translates the Kingdom’s repeated demands to the international community of the necessity of confronting terrorism supported by Iran,” Saudi state news agency SPA said, citing a foreign ministry source. In a show of support, Iranian lawmakers wore Guards’ uniforms to parliament on Tuesday, chanting “Death to America” as Iran marked the annual National Day of the Revolutionary Guards, the semi-official Fars news agency reported. “America’s decision to label the Guards as a terrorist group was the peak of stupidity and ignorance of the American leadership,” Fars quoted parliament Speaker Ali Larijani as saying. Under the nuclear deal, sanctions imposed by the United States, European Union and United Nations were lifted in return for Iran agreeing long-term curbs on a nuclear programme the West suspected was geared to developing an atom bomb. The Trump administration says the nuclear deal did not do enough to curb Iranian meddling in regional affairs or restrict its ballistic missile program. Co-signatories Britain, France and Germany are trying to salvage the deal and set up in January a mechanism to allow trade with Tehran and circumvent U.S. sanctions. But Iran has criticised the EU for failing to “honour its pledges” to protect trade with Iran. Rouhani, who could be weakened by a blow to Iran’s economy if the deal falls apart, struck a tough tone in his televised speech.